We hope we’ve answered that question here and you find our recommendations for the best metal detector for beginners to be helpful. 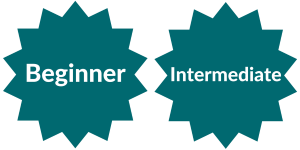 If you have any questions, don’t hesitate to get in touch or post a comment below. In our guide to metal detectors for beginners, we take you through the basic features of metal detectors to give you a sense of what you’ll get in each model for the dollars you spend. We run through what’s a good metal detector for beginners and explain why we think it could be a good fit for you. It’s important to note that none of the units in this review are metal detector toys. All of these devices are genuine metal detectors. They really work! You don’t need to spend thousands of dollars to get started. All you need is a good set of comfortable walking shoes, a basic metal detector, something to dig with, and a sense of adventure. The first question you need to answer before rushing out to buy a metal detector is who’s going to use it. Is it just for you? Will your partner want to use it? What about kids? If there are other people besides yourself queuing up to have a go at treasure hunting, then you’ll want to buy a metal detector that’s easy to adjust and is light enough for a kid to swing. If it’s just for you, then finding a fit that suits you comfortably is all you need. What kind of treasure do you want to unearth? The next question to ask is what kind of treasures do you want to find? Are you after gold? Jewelry? Coins? Relics? This is something to consider before buying a machine, though most modern detectors will detect a full range of metals but some are better at others at detecting certain types of targets. 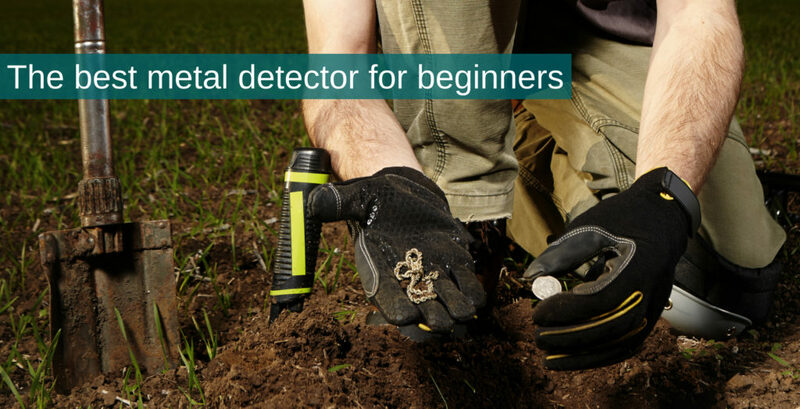 Good beginner metal detectors will offter different search modes to help you locate the targets you’re seeking more easily. When do you want to go detecting? Consider the time of year, climate and weather conditions – when do you want to go detecting? Do you want to go detecting in winter when it’s snowing? Do you live in a hot and humid climate? Different metal detectors work better in some environments than others. The best beginners metal detector will depend on your location and environment. Where do you want to use the metal detector? Think about where you want to use the metal detector. Do you want to go beach hunting? Will you be fossicking on rocky, uneven terrain? Do you want to take your metal detector scuba diving? What about freshwater detecting in rivers and streams? Where you want to use the metal detector will determine which features are most important to you. 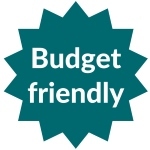 Your budget will be a big factor in working out which metal detector you can buy. If you know how much you want to spend, the following metal detector reviews for beginners will help you get the most bang for your buck. Read on for our recommendations for the best metal detector for beginners. You’ll find these are rated as the best budget metal detectors. Most metal detectors aren’t waterproof. There are some that are waterproof to up to 200 feet that you can use while scuba diving and searching for treasures under the sea (and if you’re interested in a waterproof metal detector, then check out our Buying Guide for the Best Underwater Metal Detector). But most metal detectors come with a waterproof search coil. This means you can submerge the coil and the shaft in water without damaging the metal detector. You should never submerge the control box unless the whole unit is waterproof to at least 10 feet. If you want to do some beach metal detecting or shallow river or creek detecting, then choose a metal detector with a waterproof search coil. You’re going to be swinging your metal detector around for a long time, and if you’re choosing a metal detector to share with young people, then you’ll want to consider the weight of the device. The lighter the metal detector, the easier it will be to sustain the use of it. Discrimination in metal detecting is a function that will let you search out only certain kinds of metals. Think of it as a function where your metal detector is ‘differentiating’ between different types of metals. It’s controlled by a special kind of filtering circuitry. This is important if you don’t want to be digging up bottle caps and pull tabs instead of coins or even gold. Without discrimination, all metal within detectable range is detected. By slowly increasing the discrimination setting to filter out trash metals (such as pull tabs from soda cans, nails) and soil mineralization, you tell your metal detector to only detect responses from the targets you want to dig up. With practice, you’ll be able to work out from the signals whether or not to bother digging up the target. 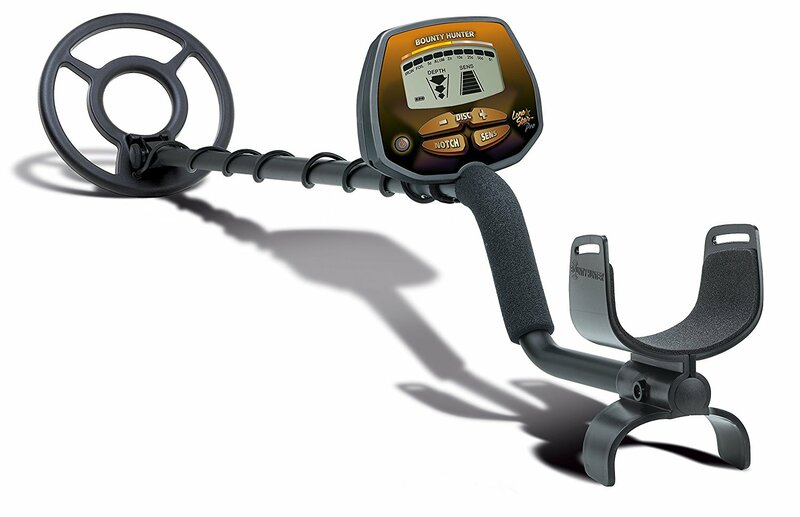 You’ll want to buy a metal detector that allows you to discriminate between different types of metal targets. Many metal detectors come with pre-programmed search modes that allow you to search for specific metals at the flick of a switch. These preset search modes are ideal for beginners. Preset search modes are preset discrimination patterns. All-metal mode does exactly as its name suggests – it detects all metals in the soil. Other types of search modes will help you target non-ferrous metals (that is, metals that are in the precious and semi-precious class such as brass, lead, copper, silver and gold). The best metal detectors for beginners make this process easy. When receiving signals from metals in the ground, metal detectors emit different tones. Some metal detectors can be quite loud and not have a volume control. Others will have a headphone jack to allow you to plug in headphones to filter ambient noise and also not disturb people around you. This is important etiquette if you are beach hunting, for example. Some metal detectors come with a pair of headphones, though usually when you buy a cheaper detector like those in this review for beginners, the detector doesn’t come with headphones. Some soil is highly mineralized, while other soil, less so. 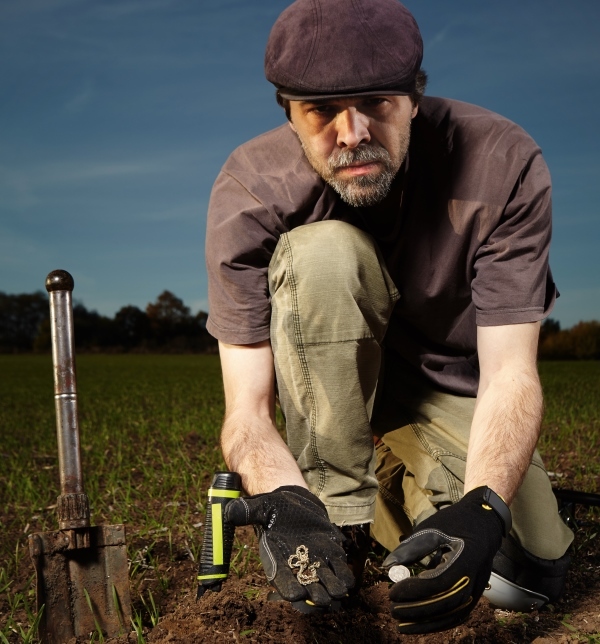 Ground balance is a function that allows your metal detector to ignore minerals in the soil that would otherwise interfere with the detector’s signalling. 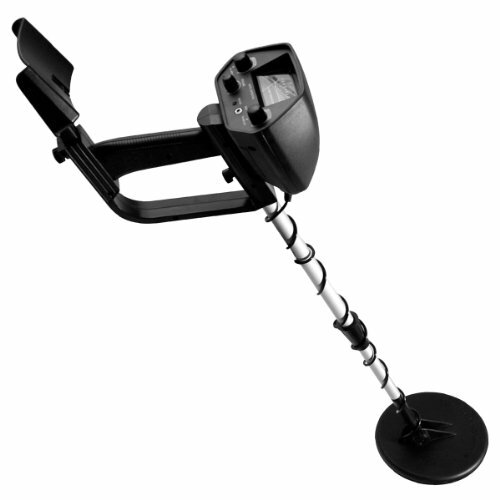 You can buy metal detectors with preset ground balance, manual ground balance and auto ground balance. Some also have a mix of preset and manual ground balance. We recommend metal detectors with an auto ground balancing feature for beginners, but this is usually a feature of the pricier models. With auto ground balance, the metal detector compensates for the varying amount of minerals in the soil by automatically adjusting the ground balance so you’ll get the best performance out of your detector. 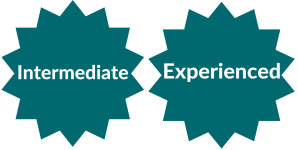 As you become more experienced, you might prefer a machine with a manual function to allow you to fine tune the ground balance in different environments. If your budget won’t stretch to one with auto ground balance, then look for one with preset ground balance that will work straight out of the box. Pinpointing is pretty much what you’d expect it to be. Pinpointing helps you find the exact location of your target. Pinpointing is a function found on most metal detectors that have multiple search modes. Switching to pinpoint mode helps you accurately locate the target. 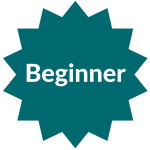 The top metal detectors for beginners will have a pinpointing function. Depth refers to how deep in the ground a metal detector’s range extends to find and react to metal targets. Depth reading is a feature on many metal detectors that indicates how deep the target is in the ground. It’s good to know this so you know how far you have to dig. It’s really handy and we recommend a metal detector for beginners that has this function. 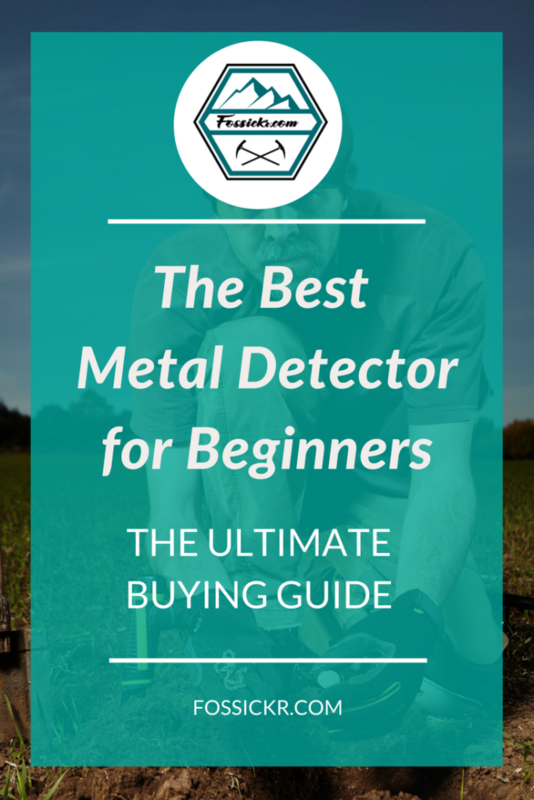 Let’s take a look at the best beginner metal detectors available today. We’ve chosen these metal detectors for various reasons. Most are super low cost, which is great if you want to try the hobby before investing in a more complex model. What we love most about the National Geo Pro Series model is that it is adjustable and so portable. You can quickly and easily change the length, making it comfortable for whoever is using the metal detector. If you plan to share the metal detector between a few people, then the flexibility of this unit is the best of this lot. It folds down a few inches shorter than most other detectors, making it easy to pack into your baggage so you can take it on trips. It’s also lightweight. At only 2.3lbs, even little arms will be able to swing this detector for quite a while before tiring. It has an arm strap that takes the pressure off your wrist. It will detect targets to a depth of 10 inches, which we think is good for the price. It comes with National Geographic’s 100% satisfaction guarantee, so you can try it, and if you don’t like, return it for a refund. This is a good ‘insurance’ policy if you’re not sure if metal detecting will be the right hobby for you or if you’re buying one as a gift for someone else. If you are buying this for a family, it comes with a learning guide that will teach the kids about the history of metal detectors and how they work. It’s made by the well-known and trusted brand Minelab for National Geographic. You can read our full review of this metal detector for more details about this excellent metal detector. For the price and features, we can’t think of any! Perhaps just that it doesn’t come with headphones. 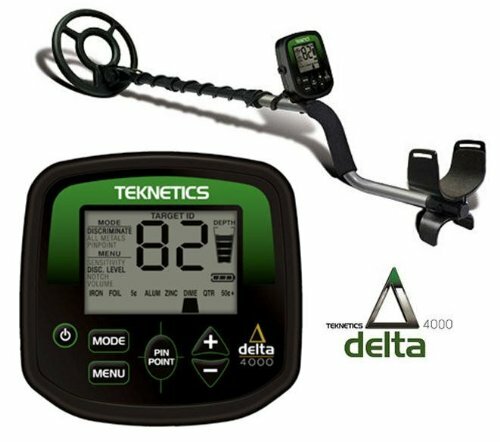 While not strictly a metal detector for a beginner, the Teknetics Delta 4000 is still worth consideration if you’re new to treasure hunting. It’s one of the more expensive models in this guide, but that means it comes with extra features like the graphic and numerical target ID system that shows you on the display what you’re going to dig up before your start digging. Not all metals are worth digging up. The Delta 4000 has a large LCD. It might take a while to learn what the numbers represent – generally though, the higher the number, the more valuable the metal. Used in conjunction with the three-tone audio, the numeric target ID can be quite handy. It is adjustable, so regardless of the height of the operator, you’ll be able to find a comfortable length. 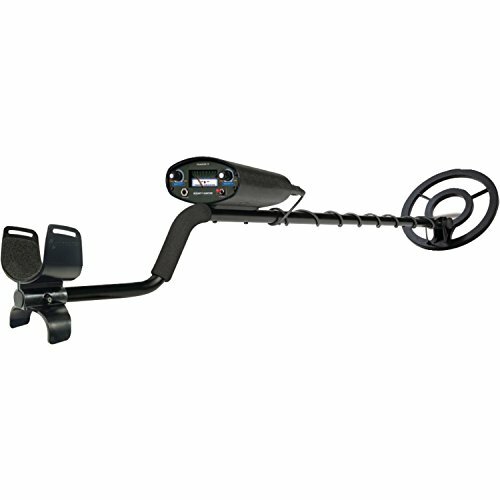 It has a 5-year warranty that makes us comfortable that this is a solid metal detector. See our full review of the Delta 4000 for more detail. 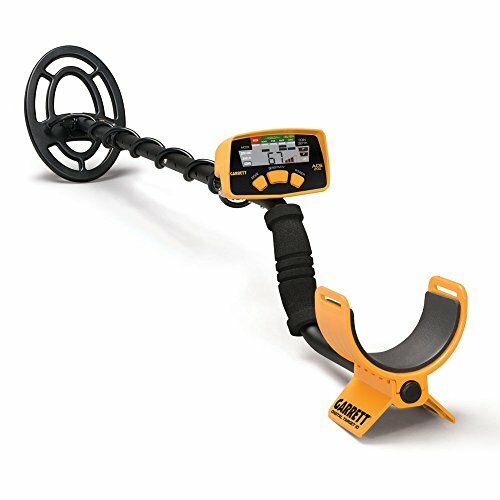 The Winbest Pro Edition Metal Detector is a VLF metal detector with a super low price you won’t believe. If you are looking for a budget-friendly metal detector the whole family can use, this would be a good choice for you. If you’re looking for the cheapest and best beginner metal detector, the Winbest Pro Edition is worth considering. The stem is adjustable so it’s easy to switch between family members or find the height that’s most comfortable for you. It’s lightweight, so arms won’t tire quickly. This metal detector discriminates between different kinds of metals and you can choose the type of metal you wish to detect: iron, nickel (for coins), zinc or copper (again for coins). It doesn’t have an LCD like the other metal detectors mentioned in this review, but it has a straight forward needle that dials to the right when it detects metal. The audio tones match the dial. The Winbest Pro Edition has a small search coil – it’s only 6 inches. This means that you cover less ground. It also only detects up to about six inches, so you could miss some good treasure buried deeper in the ground. But we think this is an OK trade-off for the super low price and if you just want to have fun with metal detecting and not take it too seriously. This is a good starter metal detector. Read our in-depth review of the Winbest Pro Edition. 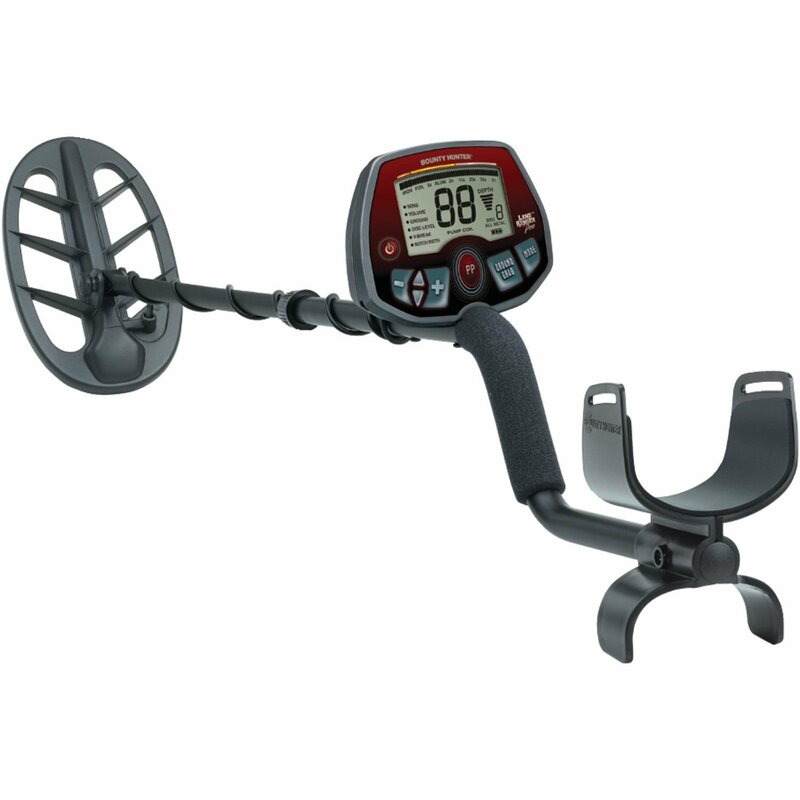 The Bounty Hunter Tracker IV is an ideal starter metal detector for those just getting into the hobby. Not only is the unit lightweight, the price is, too. For that price, I’ll take two! (just kidding!) 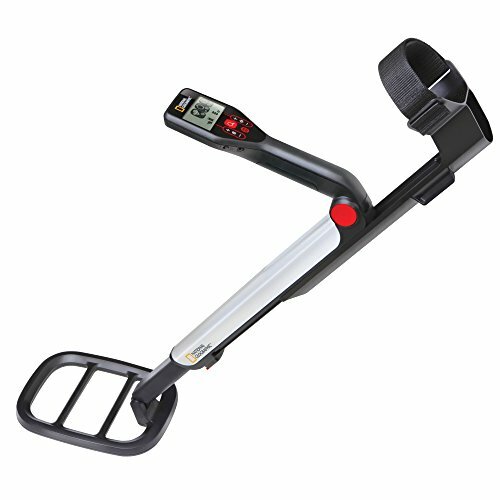 This is one of our top-rated metal detectors for beginners. The three different search modes will help you save time and disappointing by not digging up trash metal items. It doesn’t have an LCD screen. Instead, it has a sensitivity with a needle that dials to the right when it detects a target. It’s adjustable, so you’ll be able to easily adjust it to the height of the person using it. It has a built-in speaker, but it doesn’t have volume control, so you’ll want to bring headphones along to not bother people around you, especially if you’re using it on the beach. For the price, we can’t believe how well this detector works on the beach. It has a waterproof search coil and it’s suitable for salt and fresh water. Most other metal detectors in this review are only suitable for fresh water detecting. This machine copes well with highly mineralized sand. The only thing this model is missing is electronic pinpointing to help you identify the precise location of your target. But for the price, it’s a feature we can live without. If you’re looking for a metal detector that works equally well on land and in the beach shallows, this is your metal detector. Read our full Tracker IV review for more information. Target depth Will detect coins up to 8 inches, depending on the terrain and soil. Can also detect larger targets up to two feet. 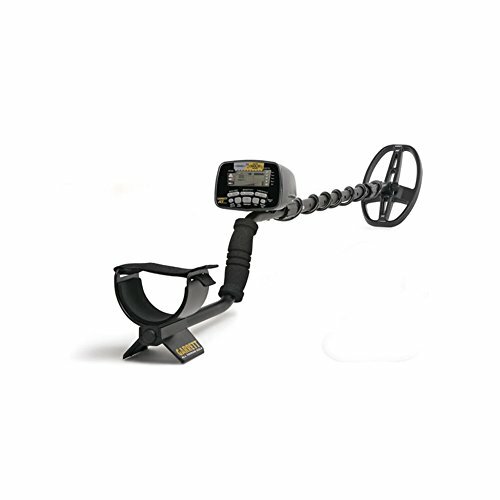 The Garrett Ace 200 is a powerful metal detector representing great value for the features it offers. It’s an upgraded version of the ACE 150 and it was released in 2016. It comes with an LCD screen with a digital target ID. Using a scale from 0 to 99, it gives you information about the target you’re about to dig up. The higher the number, the greater the likelihood of it being a precious metal. It also has displays the coin depth – a really useful feature so you know just how far to dig. It’s no secret that Denise and I are Garrett fans. We love their metal detectors and have been using them for more than two decades. Garrett manufacture quality metal detectors with reliable technology right here in the USA. The ACE 200 is one of their cheaper, entry-level models. It’s a good machine for dry beach detecting, but not great in salt water. It works well in fresh water though. Find out more about the ACE 200 in our review. Target depth Will detect up to 10 inches, depending on the terrain and soil. The Garrett AT Gold is a VLF metal detector at the higher end of the price scale in this review, though you can still buy metal detectors for thousands more. This machine was designed to target… wait! You guessed it! Gold! The ‘AT’ in AT Gold stands for ‘all terrain’. This is a great detector for prospecting anywhere. If you are serious about getting into the hobby to hunt for small gold nuggets, and if you have the budget, then this model could be the best gold metal detector choice for you. The downside is that it doesn’t work well in salt water. It works best in freshwater – for gold prospecting in rivers and streams. This Garrett underwater metal detector is great for detecting coins. Even though it’s the heaviest detector in this guide, you’ll still find that it’s lightweight and balanced. The biggest challenge for newbies is that it detects everything and it will probably take you a while to get the hang of the features and controls. You can read our full review of the Garrett AT Gold. Headphones included Yes, non-waterproof headphones included in the standard kit. The built-in speakers don’t have a volume control. 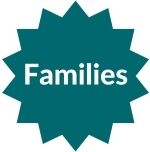 The information in this post was sourced from the product manufacturers and our own experience. Please check product specifications before buying a metal detector. Some products come in kits and may contain different accessories and different sizes to what’s mentioned in this post. As an Amazon Associate, I earn from qualifying purchases. This is at no extra cost to you. You can read our full disclosure here. 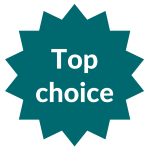 Your top choice looks nice and light, and easy to use. We do a bit of outside exploring. This one sounds like a good one for those trips being so portable. I like that it’s for beach hunting and has a waterproof coil. We mostly do coastal stuff. Would any type of headphones work with this? Any headphones with a quarter inch jack will be fine. You might need an adaptor for the sort of headphones you use with your cell phone, but they’re cheap to pick up on Amazon.